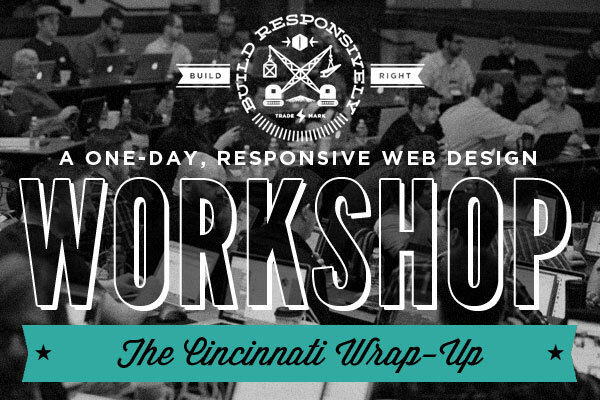 Our first ever Build Responsively workshop went even better than we could have hoped for. In no small part due to awesome attendees. 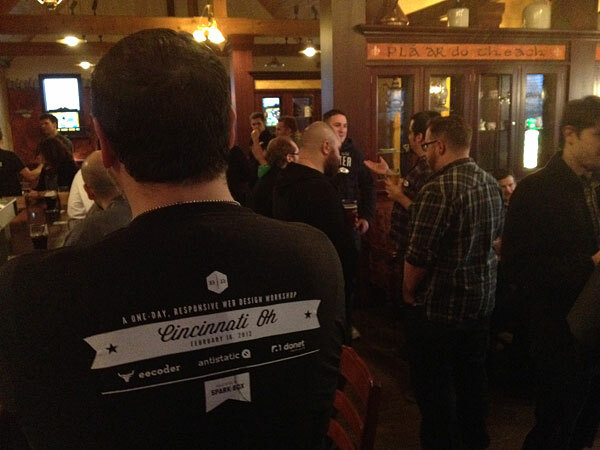 Our first ever major event, Build Responsively in Cincinnati, took place this past Thursday the 16th, and it was all that we could have hoped for. When the event sold out in a matter of days, we were pumped; but nothing compares to the actual day of the event. The room was filled with designers, developers, and other geekery hungry to contribute to the RWD conversation. Though we were excited to present and share our thoughts and techniques, attendees were equally open with questions and experiences. Our team learned plenty, too. It was awesome. Now, we don't like to brag, but we may let attendees do a bit of it for us. Honestly, we are completely energized to hear that it was a great experience for so many. Below are some of the responses we received back from attendees that made us blush. I feel as if I'm no longer alone. It was refeshing to hear from people that feel the same way about web design. You've given me confidence to talk about responsive web design to internal colleagues and to my clients. Knowledge is power, and [Sparkbox's] perspective is refreshing and very useful for my future work. I just finished “Responsive Web Design” by Ethan Marcotte, and this made a great complement to that resource. With that as a precursor, this [workshop] will have you up and running! Sparkbox did a great job of translating the academic and theoretical into real-world examples. The Sparkbox team knows the business of web design. It's very clear that they have the people and processes in place to make intelligent decisions that benefit both client and user alike. Sharing and learning with them was extremely beneficial. 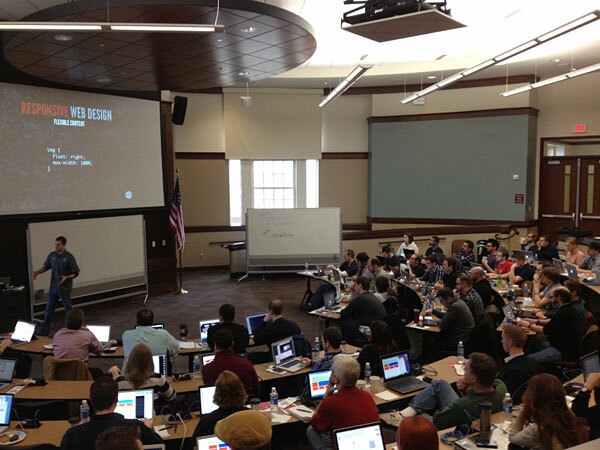 For those that were there, or just for the curious, workshop presentations are now available. We've broken them up into sections for you. If you are interested in keeping tabs on future Build Responsively workshops, check out the website and follow Sparkbox and the workshop on twitter. If you'd like to see Build Responsively happen in your neck of the woods, vote on the site to bring us to your town. We need support to make it to your city, so help us help you! The more votes and response we get, the better your chances are. Lastly, we'd like to thank our sponsors once again for the fantastic support. Without them, Build Responsively could not have happened. Speaking of Donet, this IT services company really knows how to host (see what we did there?). Donet treated Build Responsively attendees to a fantastic time just down the street from the workshop at favorite local pub, Brazen Head. If you were there, you know it was fantastic. If you weren't, you seriously missed out. 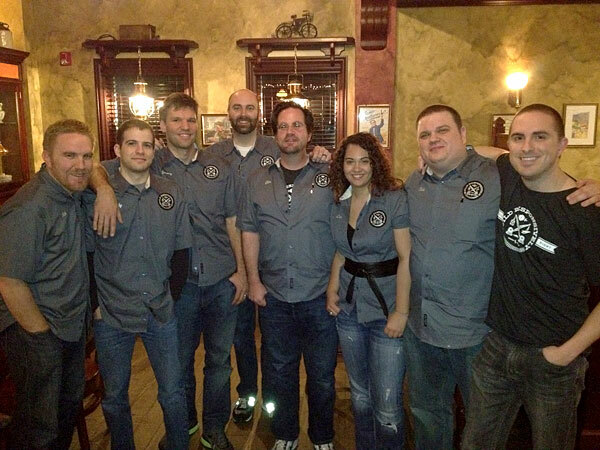 The Sparkbox team, from left to right, is Rob Tarr, Andy Rossi, Jeremy Loyd, Ben Callahan, Jän Ostendorf, Dom Richardson, Rob Harr, and Drew Clemens.